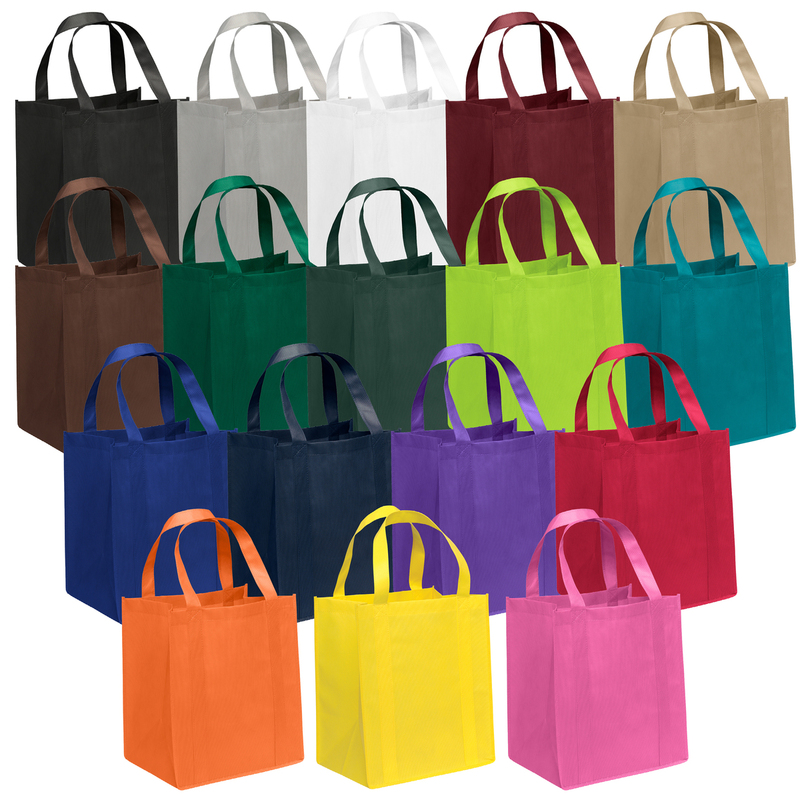 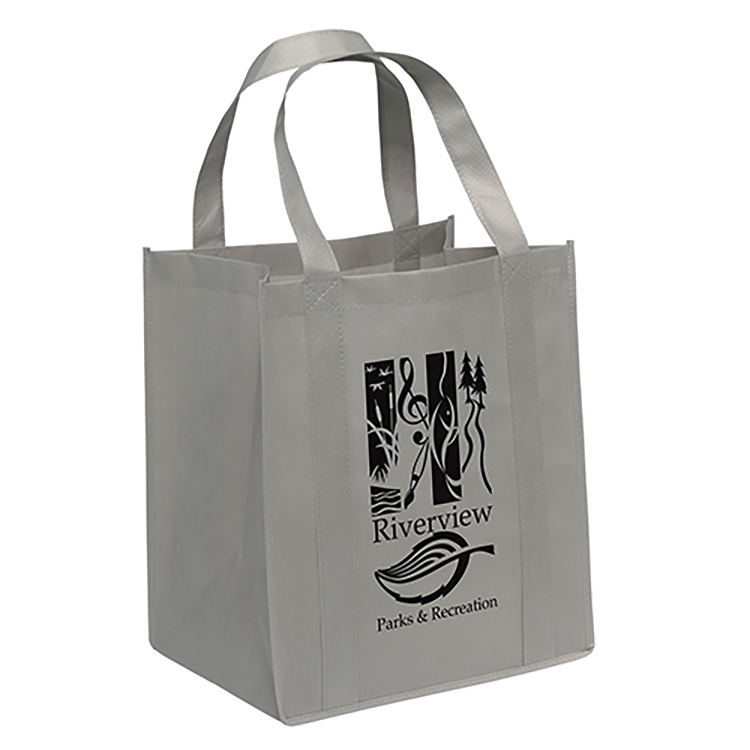 100 GSM premium non-woven polypropylene tote. 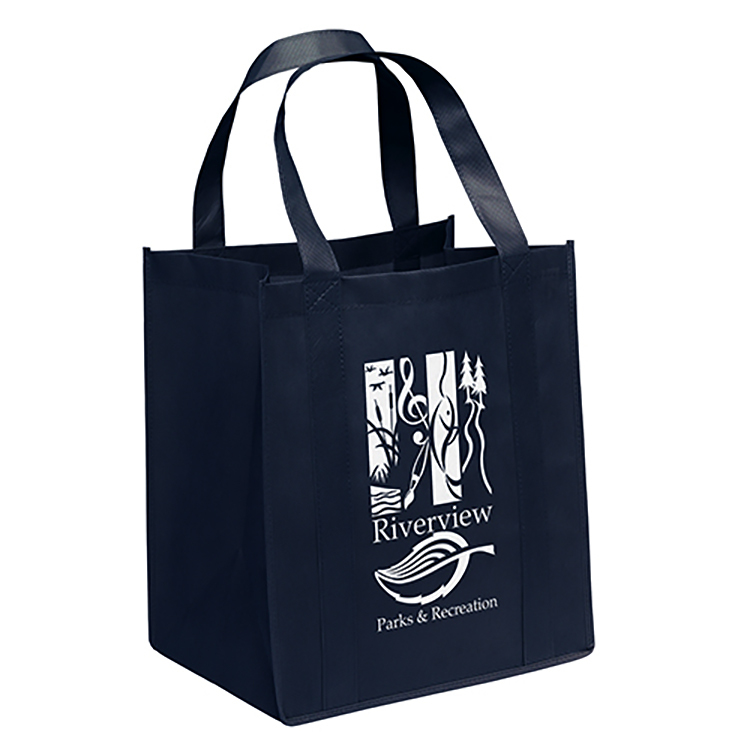 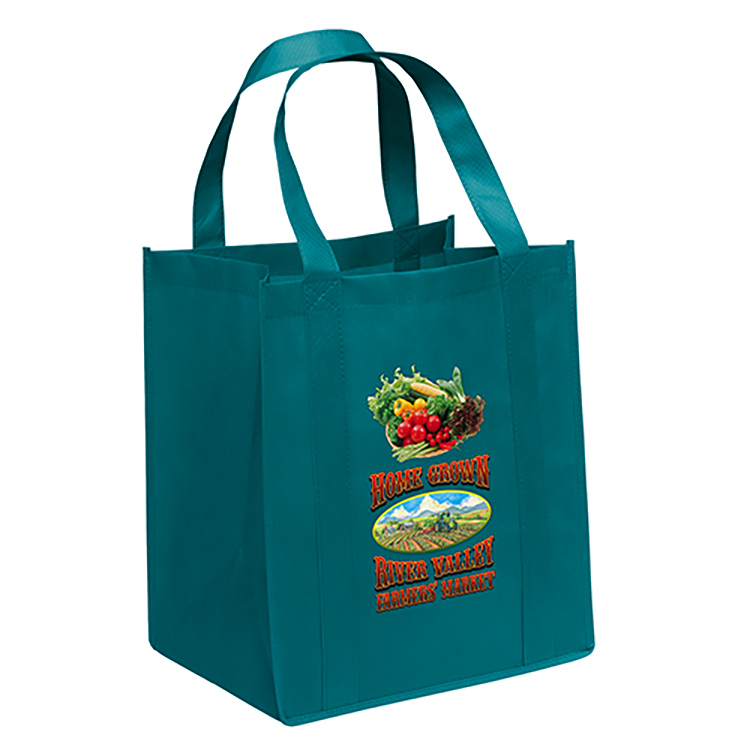 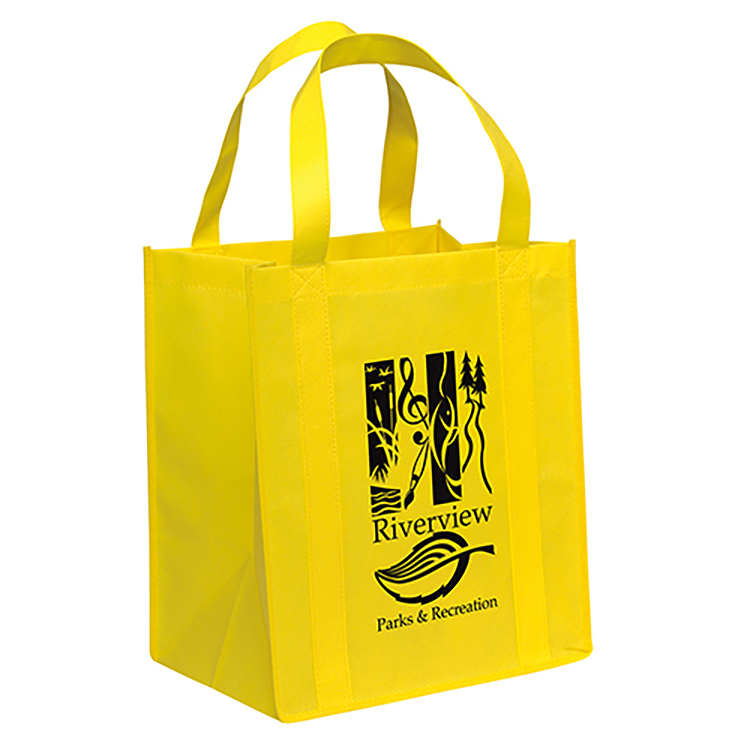 100 GSM premium non-woven polypropylene tote with dual reinforced 20" handles and plastic bottom insert. Column price is per bag, and includes a 1 color/1 side screen imprint. 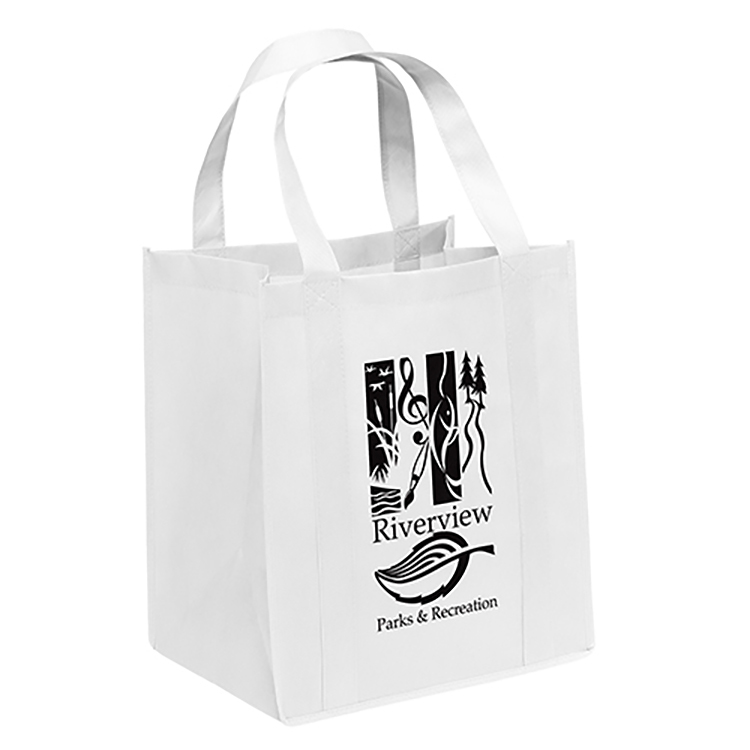 Screen charges are additional. 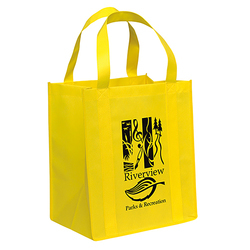 Silk Screen: $0.45 (G) per gusset, per bag One-color imprint only. Additional screen charge applies.